Out of the Past is the second graphic novel released by ABC Studios and Marvel that continues the continuity of ABC’s fairytale drama Once Upon a Time. Unlike its predecessor, Shadow of the Queen, Out of the Past is divided into four self-contained chapters that, in my opinion, work completely to the novel’s advantage. If the book was based on original content, a longer narrative would be warranted, but because Once Upon a Time possesses such a deep archive of characters, the segmentation is nothing short of brilliant. “Dead in the Water” centers on Killian Jones and his resurfaced brother, “Truth and Daggers” fleshes out the timeless love story of Belle and Rumplestiltskin, “Ghosts” provides a further glimpse into the Evil Queen’s mourning of Daniel, and “Tea Party in March” gives the long-awaited backstory of Jefferson the Mad Hatter. 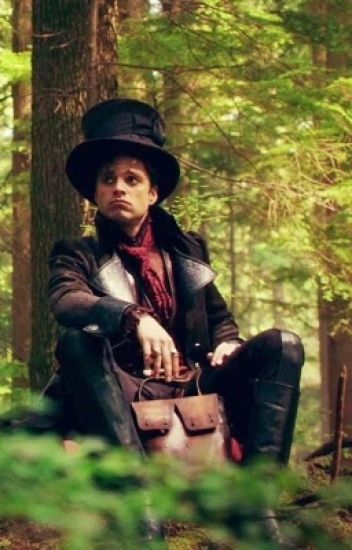 As a longtime fan of Once Upon a Time, my favorite of the four chapters was “Tea Party in March.” Sebastian Stan, who portrayed Jefferson on the television series, joined the Marvel family as Bucky Barnes and had to leave the show due to filming conflicts, so his full story was never explored. Out of the Past amends this by not only introducing his now-deceased wife Priscilla, but also by fleshing out his times in Camelot, Wonderland, and his native Enchanted Forest. Each chapter’s artwork is penned by a different artist, allowing various stylistic choices to be made. “Tea Party in March” and “Truth and Daggers” offer brighter, popping colors, while “Ghosts” and “Dead in the Water” are darker and provide a more ominous atmosphere. The chapters alternate in a dark-colorful-dark-colorful pattern, and this alternation keeps the novel fresh and vibrant. The dark atmosphere created in “Ghosts” and “Dead in the Water” works tremendously well, with both having death as a focal point. “Truth and Daggers” oppositely uses brighter colors to show the blossoming love between Belle and Rumplestiltskin – a trait seen again when the viewer reads both about Jefferson falling in love and traveling between multiple realms of storytelling. I only recently read Out of the Past, but its inclusion of Camelot as a setting in “Tea Party in March” sparked my interest quite a lot because this novel is actually the first time Camelot was seen in the Once Upon a Time continuity. The kingdom, despite being mentioned, didn’t actually appear on the show until a while after the novel’s release. With the world, or rather worlds, of Once Upon a Time spanning so widely, any extra look into them is much appreciated from me. With the television series set to end in May, whose stories would you like to see continued via graphic novels? As always, comment below and tweet us @Fuzzable with your love for everything Once Upon a Time!